When it comes to being at home with nature, no master-planned community can compare to Caliterra in Dripping Springs, TX. The whole focus of our active community is being a development known best for what’s not being developed. While Caliterra will already be a slice Hill Country paradise, sometimes you need a space that’s just for you. That’s why we’re sharing a few ways that you can create an outdoor oasis that’s unique to you. Stay warm on the chilly fall and winter nights with a fire pit. Not only will it make your backyard area cozier, but it also provides a place where you and your guests can gather around. Even if you don’t have guests and just want to escape, the sounds of a crackling fire will help you to relax and get carried away. To give your outdoor oasis a cohesive appearance, incorporate some of the same color schemes that you used inside your home. This is another way for you to show off your unique style. If you don’t want to do the exact color scheme you used inside, you can keep the same base color and choose different accent colors. An outdoor oasis wouldn’t be complete without nature. Caliterra in Dripping Springs, TX is a nature-focused community, so every home will already have plenty of green spaces surrounding them. However, you can take it a step further by adding your favorite seasonal and year-round plants and flowers to make the space truly yours. Using unique patterns and materials to really set your space apart from anyone else’s outdoor space is key. You can find uniquely stained wood or treated metal outdoor furniture. Why stop at just furniture? Try using different colors or materials on your ceiling so it can stand out against the exterior of your home. 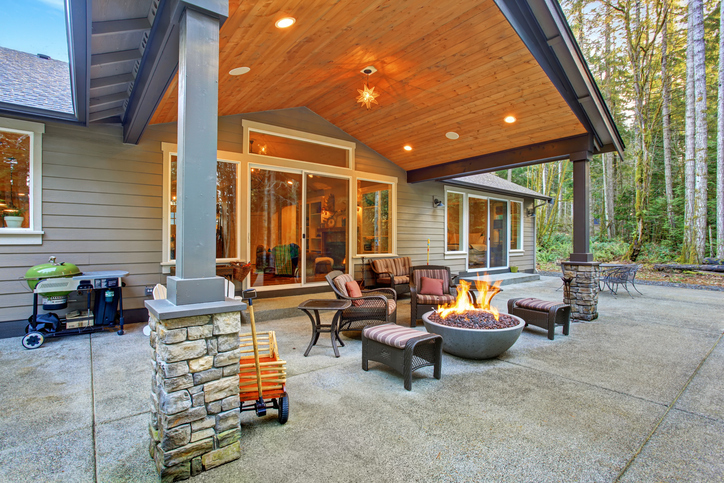 Your outdoor oasis doesn’t have to be extravagant. All it needs to be is relaxing and inviting. Relax in the Texas Hill Country and make your move to our master-planned community. Do you want to learn more about Caliterra in Dripping Springs, TX? Well, contact us today, and we’ll gladly answer any questions you may have!